Very clean, flexible with check in and check out. Location and the view from the balcony. Fully equipped kitchen. Nice size rooms and great views! Located within minutes to the train and downtown area. Great location, quiet except for the charming cow bells ringing in the evening, great views, clean apartment, covered in-door parking, easy access. Clean and very pretty. Modern and efficient. Roomy and comfortable. Wish we could have stayed longer! Staff super helpful and friendly. Location of residence is great. Spectacular view from balcony. The woman who checked us in was very pleasant and helpful. The staff provided ecellent information before we reached the hotel. The rooms are perfectly matched to our family requirements with beatifull mountains scenic balcony views. The apartment was nice and cosy with all necessary amenities. We enjoyed our stay and we would gladly come back. 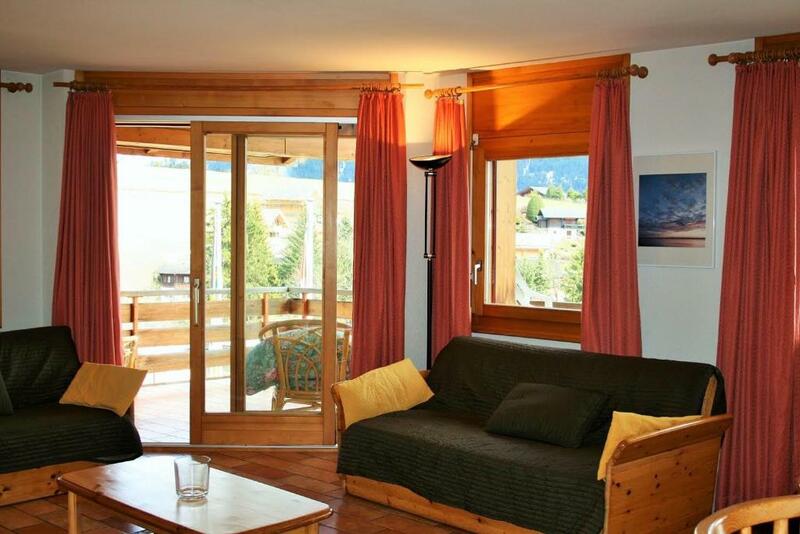 Lock in a great price for Résidence Castel Club Leysin Parc – rated 8.4 by recent guests! Résidence Castel Club Leysin Parc This rating is a reflection of how the property compares to the industry standard when it comes to price, facilities and services available. It's based on a self-evaluation by the property. Use this rating to help choose your stay! 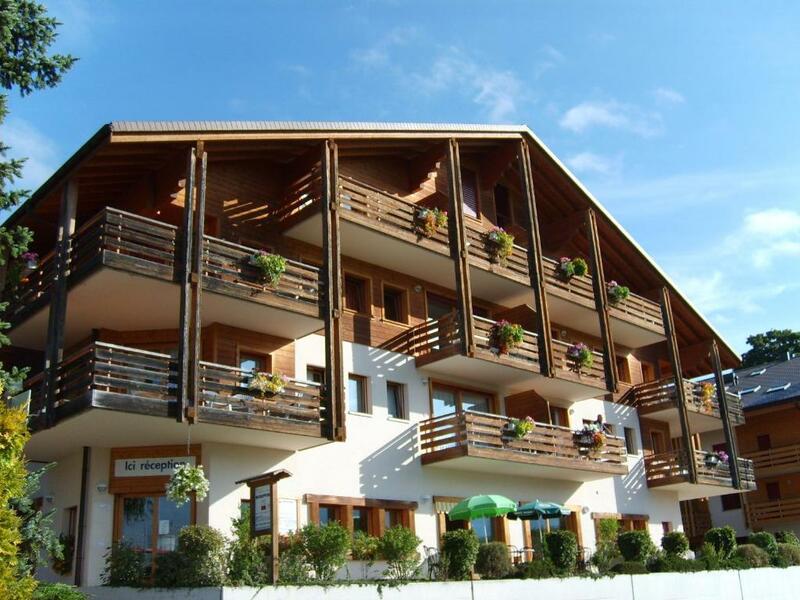 Located in the lower part of Leysin, close to fine restaurants, shops and the train station, the Castel Club Leysin Parc resort offers spacious studios and apartments. All apartments are fully equipped, featuring a kitchen, a bathroom, a balcony or a terrace and a host of amenities. The final cleaning fee, towels and linen, as well as toilet paper are included in the rate. 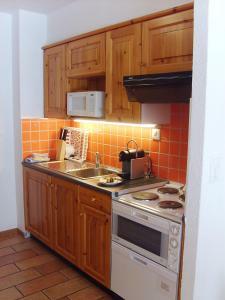 Each kitchen includes kitchenware, a microwave, a fridge and a coffee machine. 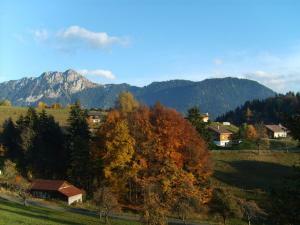 Most of the apartments have a nice southward view towards the Alps. Drinks are available at the Castle Bar, opened only during reception hours. A piano is available for guests. Lunch and dinner can be consumed in one of the 7 restaurants in Leysin where guests will obtain discount coupons. A free shuttle bus is provided twice in the morning and twice in the afternoon from Monday to Friday (in winter only) to reach the cable cars of Leysin. Mountain bikes are available for rent on site. A Raclette dinner is organized on site on Tuesday evening, if 15 or more people attend. 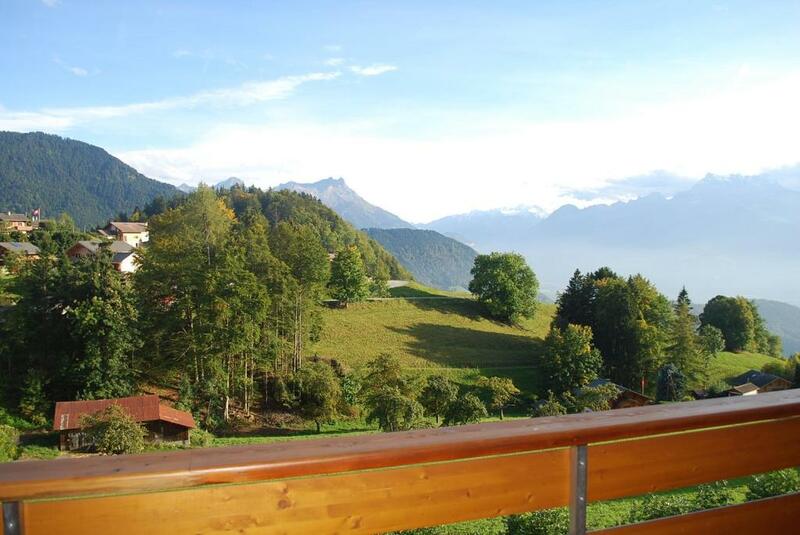 When would you like to stay at Résidence Castel Club Leysin Parc? This studio for 2 to 4 people is 98 ft² in size and features a 23 ft² balcony. The studio is composed of a bed-sitting room with a double sofa bed and 2 foldaway beds, a small but well equipped kitchen, a bathroom and a nice balcony. This apartment can accommodate 2 to 4 people on 388 ft² (+ 75 ft² balcony). This apartment is composed of a living room with a double sofa bed, a small but well equipped kitchen, a bedroom with a double bed, a bathroom and a balcony with a nice view of the Alps and the Rhone Valley. 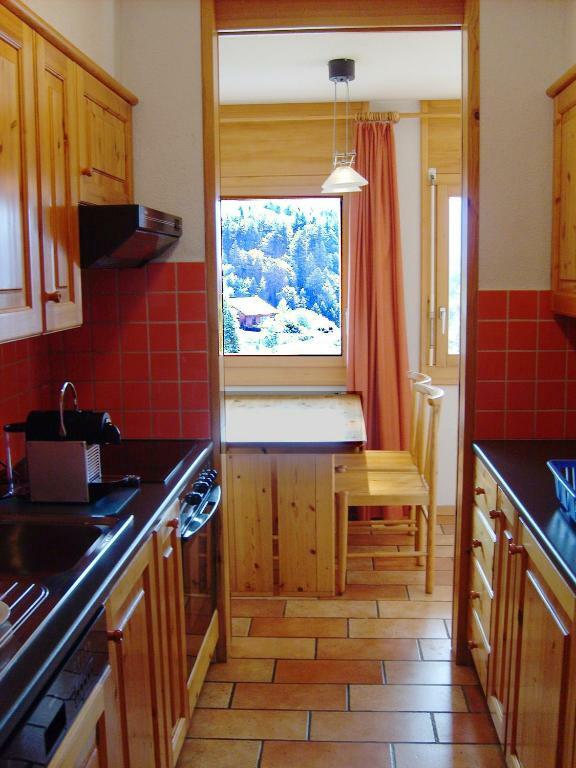 Offering a large terrace facing the Alps and the Rhone valley, this apartment is either a duplex or located on 1 floor, consisting of a kitchen, living room with sofa bed, a bedroom with a double bed, a bathroom and a shower. This apartment can be on one level or duplex and features a living room with, a kitchen and a bathroom with shower. 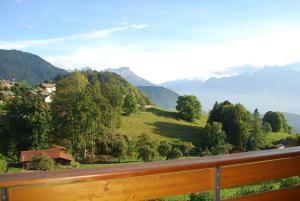 From the balcony you enjoy a nice view towards the Alps and the Rhone Valley. It features a double bed with 2 mattresses and a sofa bed for 2 additional guests. This studio for 2 people is 323 ft² in size and features a 75 ft²balcony (no mountain view). 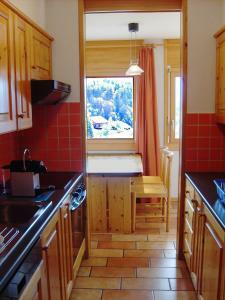 The studio has 2 single beds, a small but well equipped kitchen, a bathroom and a nice balcony. This apartment can accommodate 2 to 4 people in 452 ft² and features a terrace (no mountain view). This apartment is composed of a living room with a double sofa bed, a small but well-equipped kitchen and a bedroom with a double bed. This apartment features a bedroom with a double bed (two mattresses), a living room with a double sofa bed, a kitchenette and a terrace. This apartment has a balcony, sofa, fireplace, a double bed with two mattresses and a sofa bed for 2 additional guests. This studio features a balcony, microwave and stovetop. It features 2 pull-out beds and a double sofa bed. WiFi is available in some hotel rooms and costs CHF 5 per 24 hours. 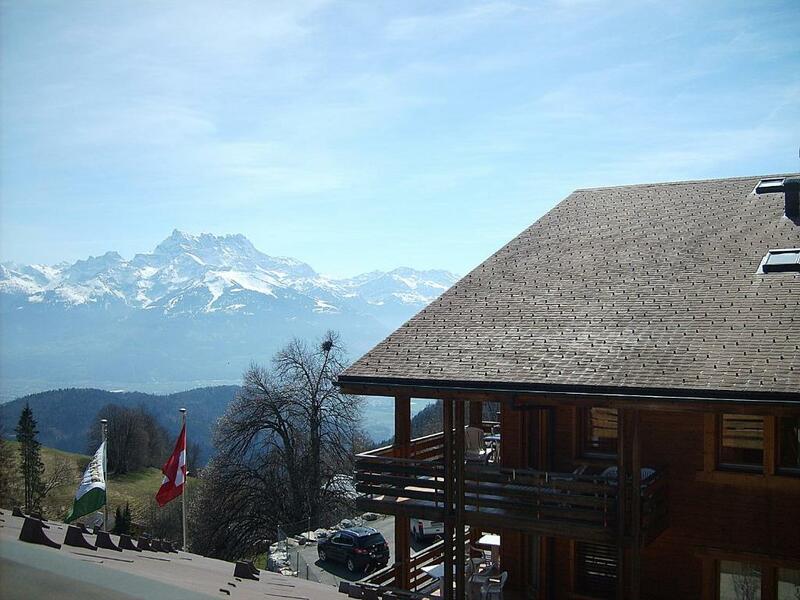 House Rules Résidence Castel Club Leysin Parc takes special requests – add in the next step! A CHF350 damage deposit is required on arrival (around USD345.32). This deposit will be fully refunded 7 days after check-out, as long as there isn't any damage to the property. Résidence Castel Club Leysin Parc accepts these cards and reserves the right to temporarily hold an amount prior to arrival. In case of late arrival after 18:30, please contact the resort in advance in order to arrange the pick-up of the keys. Please note that 1 garage parking space per apartment is provided free of charge. Please note that the reception is closed on Sundays. On Sundays, you can check out until 17:00 for no extra charge. Please note that the same credit card used for the reservation has to be presented upon check-in. A damage deposit of CHF 350 is required on arrival. That's about 345.32USD. This will be collected by credit card. You should be reimbursed within 7 days of check-out. Your deposit will be refunded in full by credit card, subject to an inspection of the property. My room looked spotless, but the bedding was very dusty and I had a slight allergic reaction. I woke up with puffy, red eyes. I would go again, truth be told, because the space was nice for a family and the location was great. We went with a large group and no one else complained so perhaps it was just my bad luck? 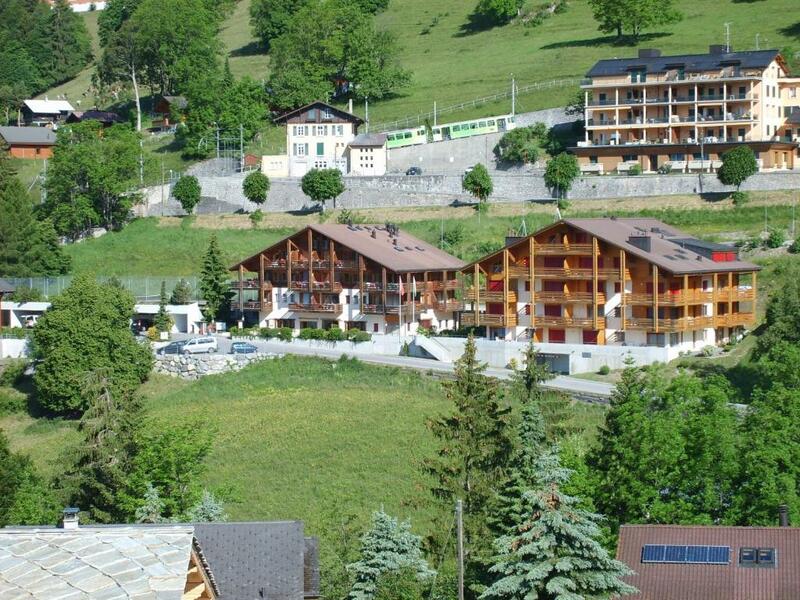 The choice of restaurants (or the lack of) around Leysin .. There are 6 listed on Google and couple of them were closed on both the Friday and Saturday. Don't expect to find your Indian Curry or Chinese take away/restaurants . .there are none in this town.. We went to one of local restaurants and it was a great experience, but expensive (that's anyways the case in Switzerland) .. if you are staying here long you should consider some cooking for both keeping costs down as well as getting some decent food you are used to. The apartment complex (or the hotel) itself does not have a proper restaurant, it does serve some bottled drinks but they close at 6:30 PM ..not great. Again not a complaint as I wasn't expecting one.. The location is fantastic.. 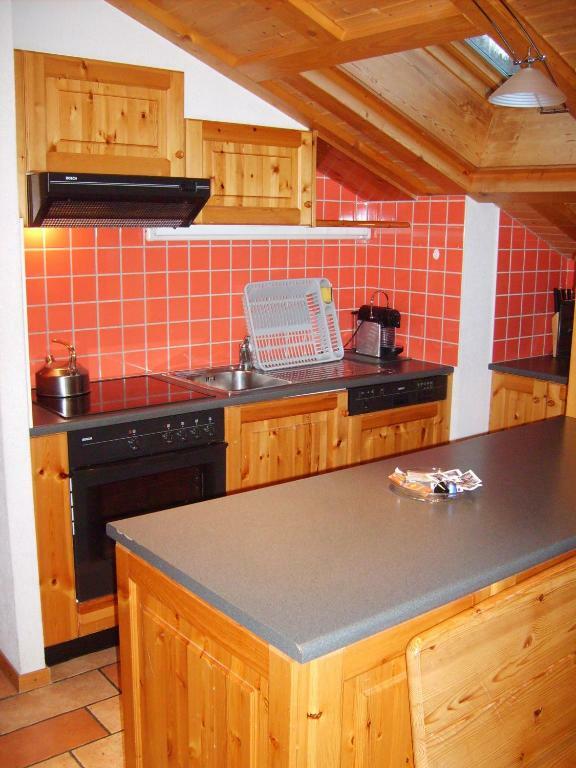 This is an apartment on the Alps mountains for those if you who don't know where Leysin is .. We stayed in a second floor 1 bed apartment and the view from the balcony is amazing. There are apartments in the ground floor as well which I found were cheaper but the views from the upper levels are worth the extra money. The drive to Leysin is equally thrilling with the hairpin bends and views.. make sure you hire a decent car preferably with an option for hill decent if not your brakes will wear out .. The parking is secure and the kitchen good enough for normal cooking.. The beds were comfy and we had enough towels. The toilets were clean ..can't fault anything at this price. The local super markets and super markets are a 5-10 min walk.. However the interior is not classy and contemporary if that is what you are after. Its functional and adequate.. but the views more than make up for it. I found nobody at all . In spite that it was difficult to arrive there as it is at the top of the alps.the place was very much detached, nobody was there at all,nobody to answer our questions to guide us . We were lost for hours . Couldnt find a restaurant or asupermarket know nothing at all about the place or any help.the reception was not answering the phone.it was always closed. I felt as if i was transitted to a place of ice.i was very terrified.it is only loneliness and freezing atmosphere. Should have an overnight food and beverage options. The apartment was excellent and more than adequate for our needs for just one night. The views were stunning. I’m sure it would be a superb apartment to stay both in winter and summer. We arrived at 10pm after a very long day driving and were greeted by a very helpful gentleman who showed us where to park our car and then our accommodation. Toaster did not work to well and tin opener not at all.dish washer was not working. Clean modern apartments .great view from room over the valley.staff were helpful and friendly.apartment had all you could want in the kitchen area and nice dining area with settee and table.nice to have study area in bedroom.plenty of towels and bedding. For the price (we were here in summer) this is a fantastic apartment. This was our cheapest and also nicest accommodation in Switzerland. 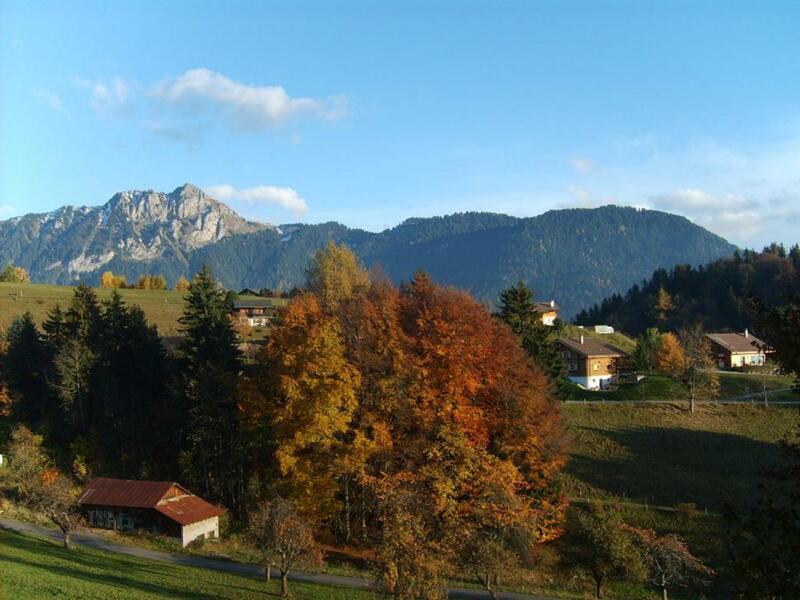 Wonderful view on the mountains, walking distance to shops and railway station. The apartment and balcony are quite spacious and equipped.